Grower Jeremy Moberg believes we're using too much energy on a crop that can be grown outdoors. You might be surprised to learn that producing just over two pounds of marijuana indoors has the same carbon footprint as driving across the country 11 times in a car that gets 44 miles per gallon. "This is clearly a huge unattended problem," says Evan Mills, author of the 2012 Energy Associates study that revealed this comparison. Although it's impossible to know exactly how much power indoor marijuana cultivation uses, the Northwest Power and Conservation Council estimated the potential long-term environmental impact, concluding that the region's electricity use could triple to as much as 300 average megawatts — the equivalent of energy use for 220,000 homes — by 2035. In 2013, a team of researchers from the University of California, Berkeley delivered an analysis to the then-Washington State Liquor Control Board, now the State Liquor and Cannabis Board, on theoretical environmental risks and opportunities for weed farms. "The most important environmental cost of marijuana production in the legal Washington market is likely to be energy for indoor, and to a lesser extent, greenhouse growing," the analysts wrote. One indoor grower in Seattle says his monthly energy bill is about $17,000. Most growers prefer the controlled conditions of indoor grows, but more and more are advocating outdoor farming — especially in ag-heavy Eastern Washington. 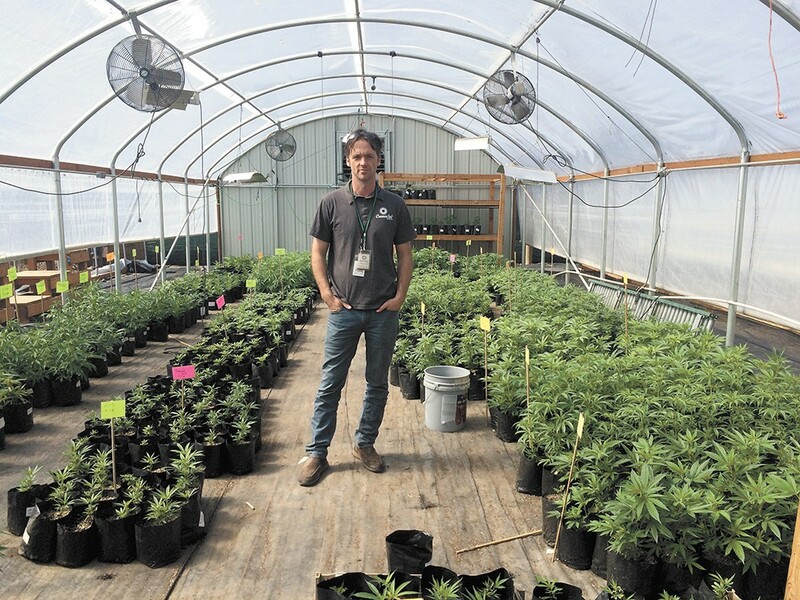 Jeremy Moberg runs CannaSol Farms near Omak, one of the largest outdoor marijuana producers in the state, and he continues to be a vocal advocate for sun-grown weed in a state where there are more than twice the number of indoor growers as outdoor growers. He hopes to change that. "Why are we using our scarce electrical resources to grow a for-profit recreational drug inside that we can outside?" Moberg asks. "It makes no sense." Outdoor grows aren't completely environmentally benign either. Moberg doesn't grow any new weed during the winter, but he does run heaters, fans and lights to keep the mother plants alive in a greenhouse. In the spring, before it's warm enough to plant outside, he also grows in greenhouses. John Morris, an energy consultant in Portland, says the next step is to get a more accurate idea of how much energy indoor operations require. Marijuana, like any crop, has issues. There are mold infections, along with the usual insects to worry about. A ruined crop can easily cost a grower several million dollars. In response, the Washington and Colorado departments of agriculture are working with the U.S. Environmental Protection Agency to allow a broader range of pesticides to be used to treat legal pot. "It's a totally bad idea," says Gil Mobley, a Missouri-based doctor who ran a medical marijuana business in Federal Way. Mobley recently conducted independent tests; he says they show that recreational pot in Washington is laden with toxins. Currently, there are about 300 pesticides and fungicides approved for use on marijuana in Washington state, says Erik Johansen of the state Department of Agriculture. Most of them, he says, are already widely used on a variety of agricultural products, and the toxicity of some is so low that they can be used in organic agriculture. "Some of our growers are looking for additional arrows in their quiver to fight those problems," says Davis. Since 2004, Chris Van Hook has run Spokane's Clean Green Certified program, which gives a wide variety of agricultural products, including marijuana, a seal of approval that they've been grown without pesticides and in an environmentally and socially responsible way. He says that organic farming methods require more management but can still produce market-ready cannabis. Joe Rammell of New Day Cannabis in Newport has created the Safe Cannabis Project, which labels crops with "trace" levels of pesticides (T) or no traces of them (N). His labels even feature QR codes that allow consumers to review the test results for themselvs. Still, there are many, like New Leaf Enterprises' Boris Gorodnitsky, who want flexibility. "I'm all for organic," says Gorodnitsky, who has 12 years of experience growing marijuana, "but the industry should have all the options available to any other industry."